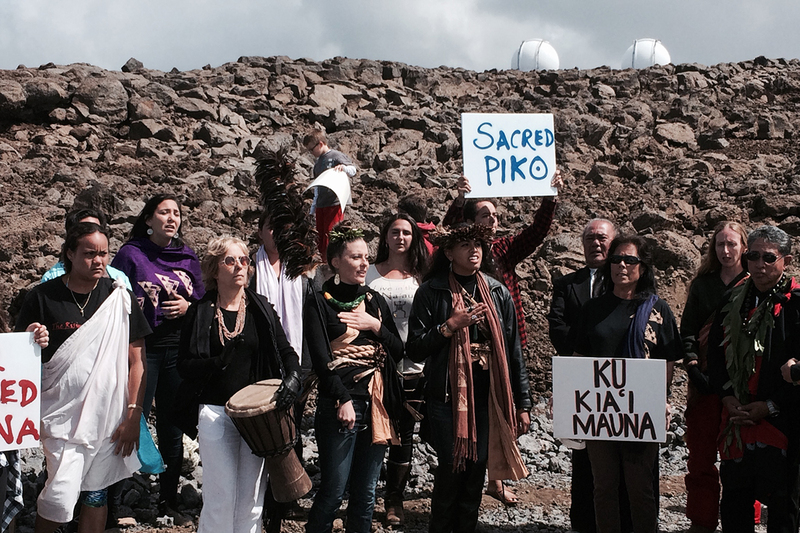 The conflict over Mauna Kea, where astronomers seek to build one of the world’s largest telescopes and where Native Hawaiians consider sacred ground, continues. The situation escalated in early April when protesters, defending their land and angry about their concerns being ignored, managed to stop construction on the Thirty Meter Telescope (TMT), which was planned to be built by 2024 and begin detailed observations of distant galaxies and other objects at optical-infrared wavelengths. After police arrested 31 peaceful protesters for blocking the road to the summit, the new Hawaii governor, David Ige, called for a temporary halt to construction of the telescope on 7 April. “This will give us some time to engage in further conversations with the various stakeholders that have an interest in Mauna Kea and its sacredness and its importance in scientific research and discovery going forward,” Ige said. The situation remains at an impasse, and he extended the construction moratorium multiple times since then. This is only the latest battle in an ongoing dispute. (See my previous post on the TMT and protests last fall.) Astronomers have found that Mauna Kea, on Hawaii’s Big Island, is an ideal place to build ground-based telescopes because of its “seeing” statistics. Optical and infrared images are less distorted by light traveling through the atmosphere here than in many other places. Although many indigenous Hawaiians have allowed smaller telescopes to be built on the mountain, it becomes more controversial as astronomers try to construct more and larger telescopes on these protected lands which hold a great cultural importance for them. The TMT also drew opposition from celebrities of Native Hawaiian descent, including Jason Mamoa (Khal Drogo on Game of Thrones), who encouraged others to join the protests. In addition, the protests drew more media attention than the last time, during the ground-breaking. For example, see these excellent articles by Azeen Ghorayshi on Buzzfeed and Alexandra Witze in Nature, as well as other articles in Science, New Scientist, and NPR. George Johnson also discussed the protests in the New York Times, though his column clearly sides with the TMT. Supported by US and international universities as well as the National Science Foundation (in the form of “partnership-planning activities”), the TMT is the primary 30-meter-class telescope given priority by the US astronomical community in the 2010 Decadal Survey and highlighted in a recent National Research Council report. The other two planned telescopes in that class include the European-Extremely Large Telescope (E-ELT) led by the European Southern Observatory and the Giant Magellan Telescope (GMT) led by an international consortium of universities, both of which are under construction in northern Chile. All three telescopes are scheduled to have “first light” in the early 2020s. During the planning phase of the TMT, in addition to Mauna Kea, astronomers considered other possible locations as well, also including northern Chile and Baja California, Mexico. Like many astronomers and astrophysicists, I’m torn. While the TMT would be a boon for science and scientists, especially those who study galaxies, supernovae, stars, and planets, that is not the only criterion by which such a project should be evaluated. The state of Hawaii and the United States in general have a long history of colonialism and disrespect for indigenous peoples and cultures, and unfortunately the TMT risks falling onto the wrong side of that history. For now, I think that the moratorium on construction should continue and substantial negotiations should take place, and if that delays the schedule, so be it. 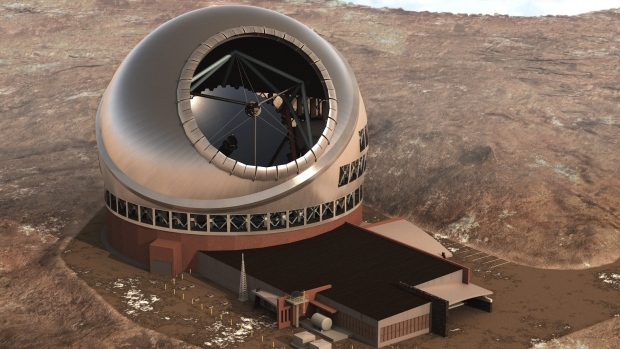 If more native Hawaiians and organizations do not decide to support the TMT, the astronomical community should consider a different site or even terminate the telescope altogether. I realize that the cost of either action would be great, considering the huge international investment that has already taken place, but the price of desecrating native Hawaiians’ sacred and protected land is much higher. I see strong opinions on each side, and many have distributed petitions and sought to gain more public and media support. How will astronomers and Hawaiians proceed? I hope that they will use this time to discuss the situation with respect and as equals, and they may determine whether a resolution that satisfies many eventually can be achieved. Just to clarify the relation between the National Science Foundation and TMT, the NSF awarded a partnership-planning grant to TMT in March 2013, but none of the funding goes toward TMT construction or operations, and the award does not imply a future commitment. Jevons paradox: a problem for energy efficiency? Enter your email address to follow Ramin Skibba and receive notifications of new posts by email.